And it wasn't even Louie Gohmert or Steve King. This article was produced in collaboration with AlterNet and first appeared here . An Arizona Republican congressman has defended the notion of building a border wall by claiming it could prevent a nuclear weapon being smuggled into the United States concealed in a bale of marijuana. Rep. Trent Franks (R-AZ) made the comments Wednesday in a discussion with CNN's Brianna Keilar about President Trump's proposed $21 billion border barrier. "The reality, Brianna, is that we have to measure all of the costs, ancillary and otherwise, and make the best decision that we can. But I can suggest to you that there are national security implications here for a porous border. We sometimes used to make the point that if someone wanted to smuggle in a dangerous weapon, even a nuclear weapon, into America, how would they do it? And the suggestion was made, 'Well, we'll simply hide it in a bale of marijuana,'" Franks said. "So the implications of a porous border have national security dimensions that are very significant and that bear a lot of conversation when we talk about costs," he said. Franks pointed to no evidence of loose nuclear weapons floating around Mexico, nor did he explain why presumed nuke-smugglers would choose to try to hide their weapon in something the US Border Patrol is already looking for, as opposed to, say, a semi-trailer truck going through a port of entry with a load of legal commodities or a boat simply sailing into the Houston Ship Channel. 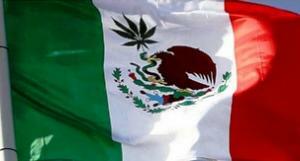 Still, the Mexican marijuana nuke threat is one that Franks has addressed before. As his website  notes, he raised the specter of Hezbollah smuggling marijuana nukes into the US in a House floor speech back in 2012. "Specifically imagine for a moment, Mr. Speaker, the scenario of Hezbollah, one of Iran's terrorist proxies, gaining possession of just two nuclear warheads and bringing them across the border into the United States concealed, say, in bales of marijuana," he said, "then transporting them into the heart of two different, crowded, unnamed cities. Then calling and telling the White House exactly when and where the first one will be detonated, and then following through 60 seconds later." That's right: Hezbollah is going to attack us with nuclear bombs hidden inside bales of Mexican brick weed. You can't make this stuff up.